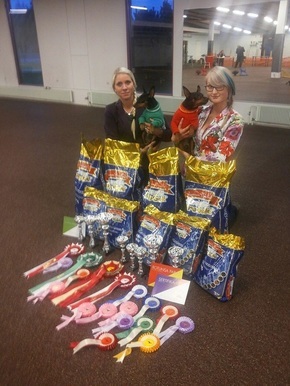 A'Dreams Black Echo: CH EX 1 CQ BM 1 CACIB BOB FINNISH WINNER 2014! A'Dreams Black Echo: CH EX 1 CQ BM 1 BOB BEST IN SHOW! LITHUANIAN, ESTONIAN, LATVIAN, BALTIC & RUSSIAN JUNIOR CHAMPION! 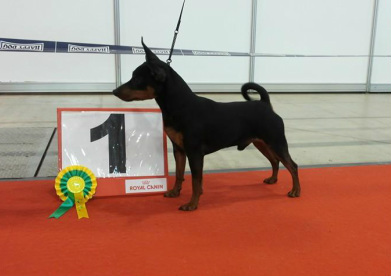 Zilber Vasserfal Eclipse of Echo: CH EX 1 CAC N-CAC-> BALT & LT CH! 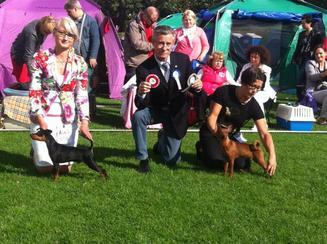 Zilber Vasserfal Eclipse of Echo: EX 1 CQ BM 2 CAC RES-CACIB (will be comfirmed CACIB)-> FINNISH, ESTONIAN & LATVIAN CHAMPION! We have a new team member, german shepherd Demant's Qenia.